Imagine if there was a natural and effective way to fight cancer without submitting to harmful radiation and chemotherapy treatments. One would assume that if such a remedy existed, it would be national news. However, across North America grows an unassuming fruit tree called the paw paw. Delicious, and sweet when ripe, paw paw fruit, a member of the Annonaceae family, has recently gained the attention of the alternative medicine community as a unique and powerful cancer fighter. Botanists believe that there are eight different species of paw paw. One of these species, Asimina triloba, has undergone over twenty years of extensive research by Dr. Jerry McLaughlin of Purdue University. Dr. McLaughlin found that this type of paw paw was significantly effective in battling cancer cells, as well as parasites, insects such as lice, and other invaders. McLaughlin’s research revealed that paw paw leaves eliminated lung, pancreatic and prostate cancer cells. These effects are possible thanks to natural chemicals called acetogenins, found in paw paw extracts. Acetogenins are long-chained fatty acids that engineer the production of adenosine triphosphate (ATP) in cancer cells, which diminishes the growth of blood vessels that feed nutrients to the cells. It also slows the growth of multiple drug resistance (MDR) cells. Paw paw is the only cancer treatment, natural or otherwise; that has shown effectiveness against these types of cells. Some may have heard of graviola, a cousin of the paw paw, as a similar cancer-fighting tree. A 1996 study found that graviola seed was 10,000 times more powerful than Adriamycin, a drug used in chemotherapy. The graviola tree, or Annona muricata, is native to South America and is more commonly known as soursop, custard apple, guanabana and sometimes the Brazilian paw paw. If you think this fruit is powerful, research now shows that while effective, graviola is not nearly as potent as paw paw. Dr. McLaughlin conducted several tests comparing graviola and paw paw’s effects on cancer cells, and the results showed that paw paw was 24 times stronger than the leading graviola product. While the two trees have similar natural compounds, as a serious cancer alternative therapy, paw paw seems to have the edge. 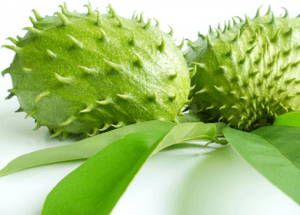 A word of caution – due to the potency of paw paw in its fight against tumor cells, some side effects have been reported. Several studies have shown that using it can cause nerve changes, resulting in Parkinson’s like symptoms. With a compound this potent, it is crucial to consult your naturopathic practitioner or health professional to make certain that the dosages you ingest are safe. Despite the overwhelming scientific evidence attesting to paw paw’s cancer-fighting effects, human testing is yet to be conducted. However, the lab and animal tests show remarkable promise. Consequently, it is well worth performing your own research and getting acquainted with the facts – all signs point to paw paw as a revolutionary warrior in our nation’s fight against cancer. Hey Buddy!, I found this information for you: "Paw Paw and Graviola: Two Potent Anti-Cancer Trees". Here is the website link: https://www.thealternativedaily.com/paw-paw-the-miracle-anti-cancer-tree/. Thank you.